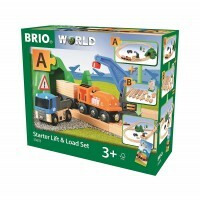 Perfect railway set for the youngest train driver, this Brio set comes with 9 pieces of tracks, tunnel and toy trains to start tot's favorite train game. 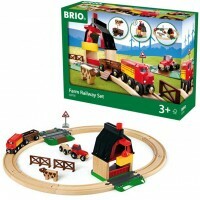 BRIO train sets really let toddlers take a train to their imagination! 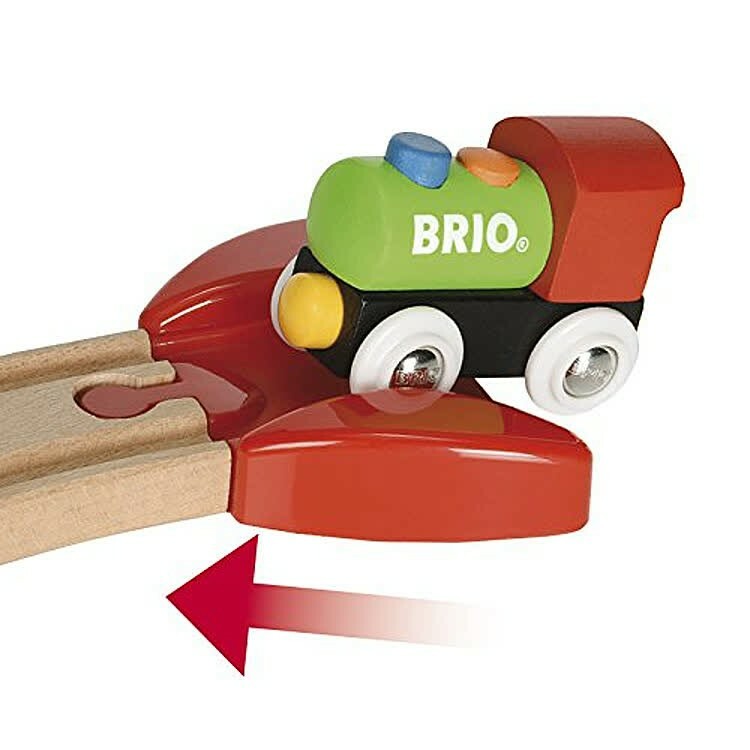 The secret to Brio toys' popularity is the open ended system of railroad building that allows kids to be creative, imaginative, and inventive. 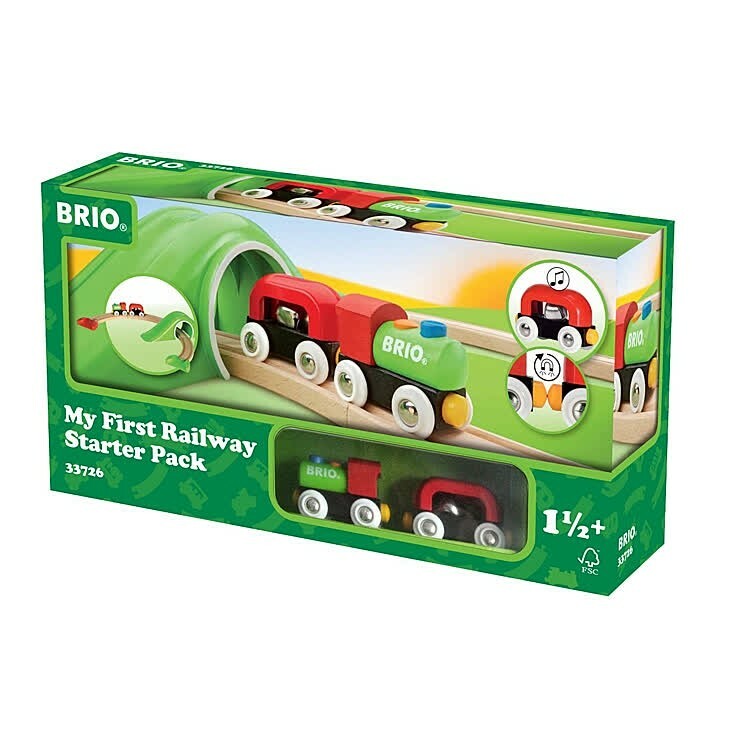 Brio My First Railway Starter Pack 9 pc Toddler Train Set is favorite set for beginner train engineers. 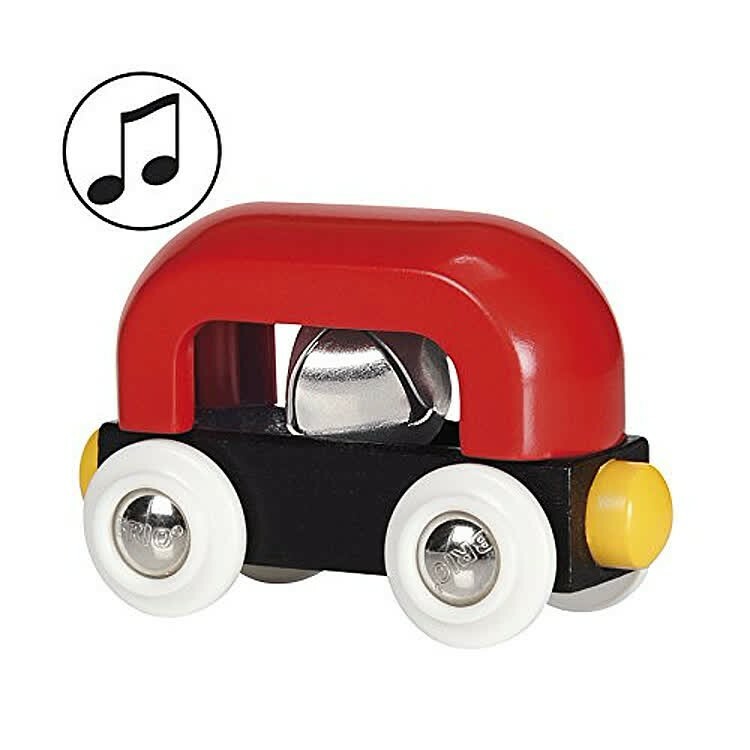 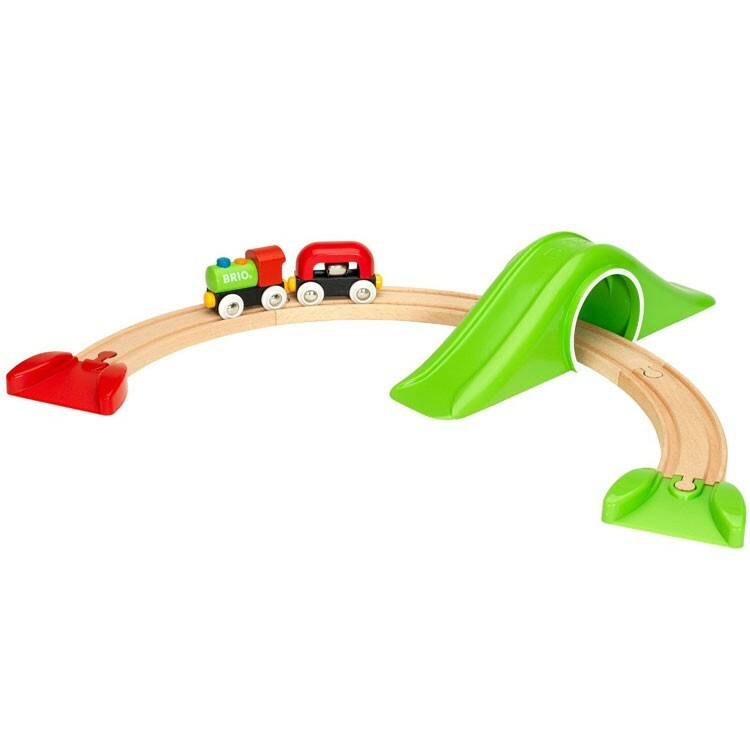 This bright color quality train set has everything to start railway building and choo-choo fun driving little magnetic trains along the tracks. 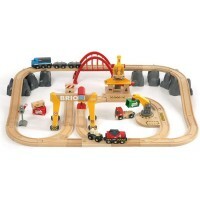 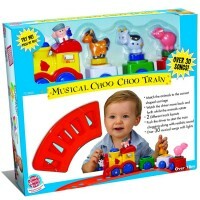 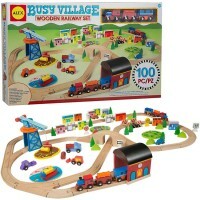 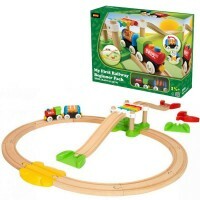 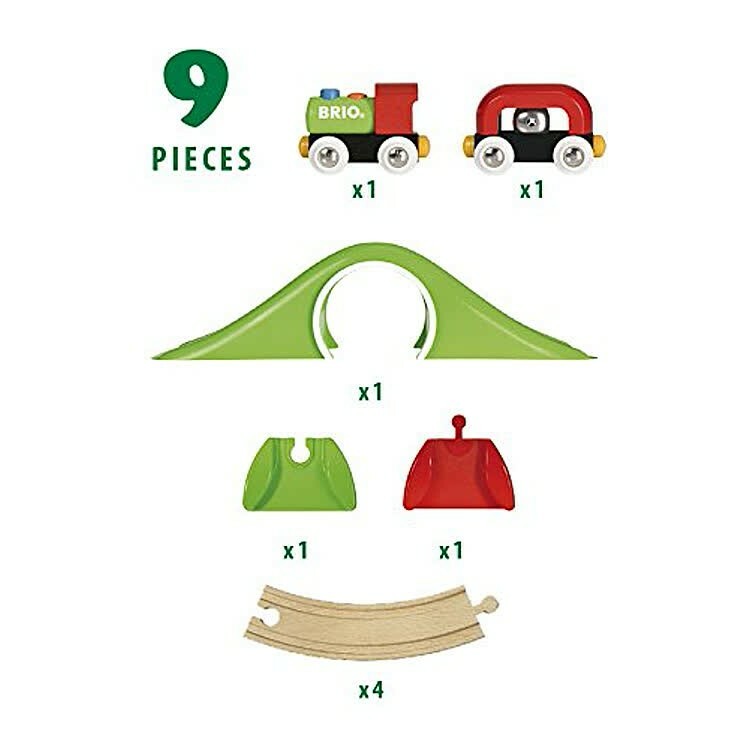 This first train build & play set includes 9 pieces: 4 curved wooden tracks, a bridge/tunnel, 2 end pieces, a magnetic train with one connecting wagon. 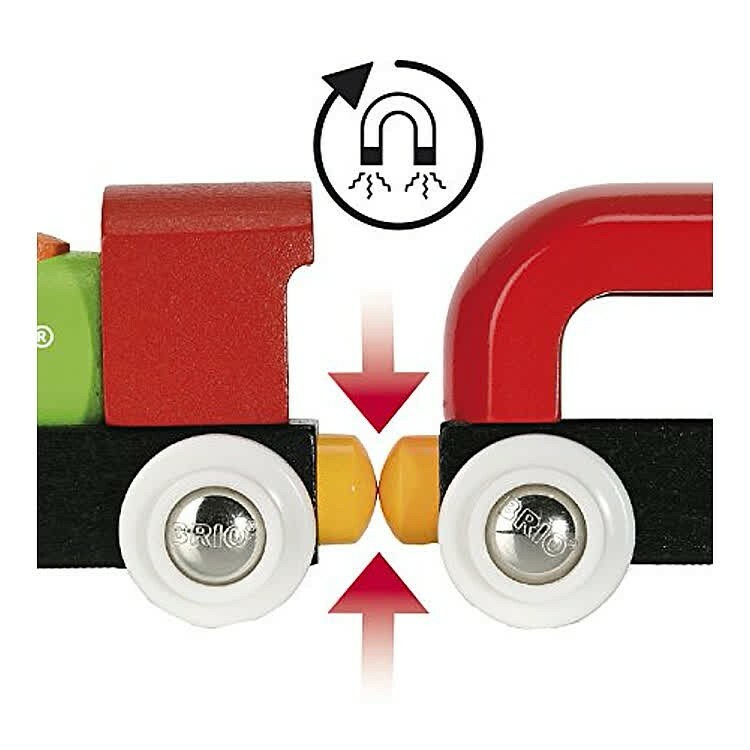 Connect the railroad pieces the way you like it and ride the little magnetic trains in every direction. 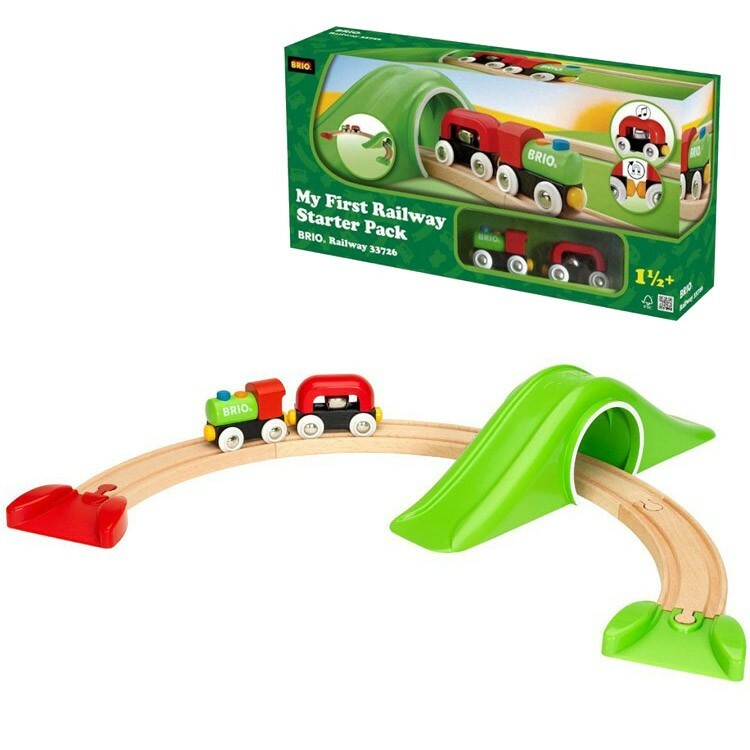 Brio My First Railway Starter Pack 9 pc Toddler Train Set from Educational Toys Planet takes about 22.25 x 17.25 x 3.5 inches room when assembled. 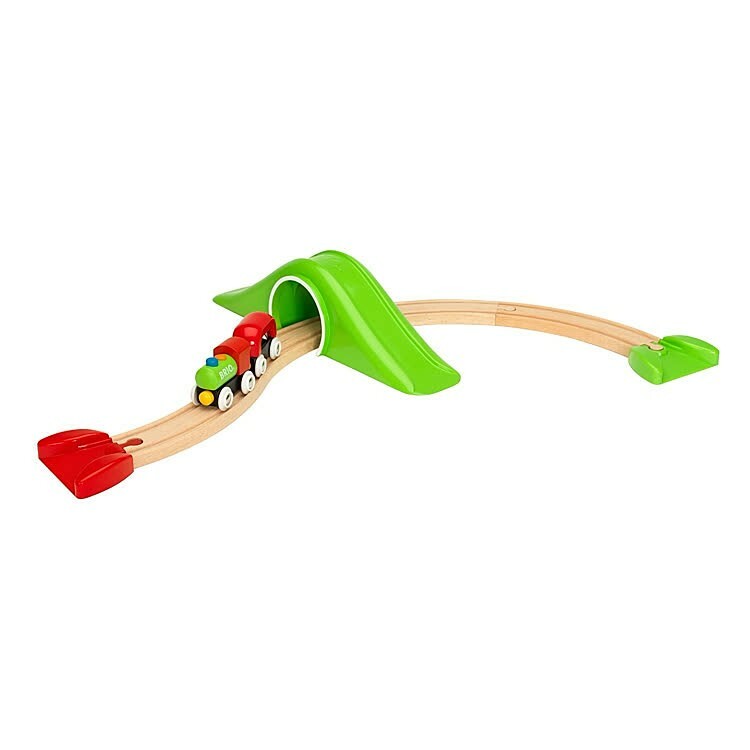 Compatible with all Brio toy trains and railway pieces, this train playset is a perfect start of imaginative train play for your toddler or preschooler. 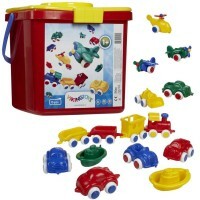 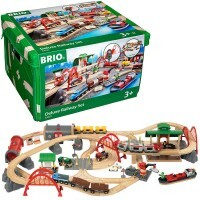 Dimensions of package 8" x 15" x 3.5"
Write your own review of Brio My First Railway Starter Pack 9 pc Toddler Train Set.